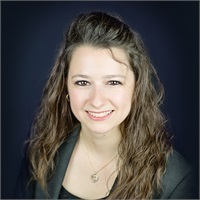 Before working as administrative assistant at Lone Oak, Brooke Landis started her career in the financial services sector working in the banking industry where she achieved the position of assistant manager. She previously spent some of her time teaching financial literacy to others in the community and continues to show her desire to help others by serving on the board of Habitat for Humanity and serving as a member of her local fire department. She is a loyal and dedicated team player whose desire is to assist our clients with any of their service needs and create a warm and welcoming environment for all. Outside of work, Brooke loves spending time with her husband Ryan and their daughter Makenzie and can occasionally be found outdoors where she enjoys kayaking, and taking long walks with her dog Deuce.